These classic girls Double Seat Baby Bloomers are trimmed with an embroidered eyelet lace. 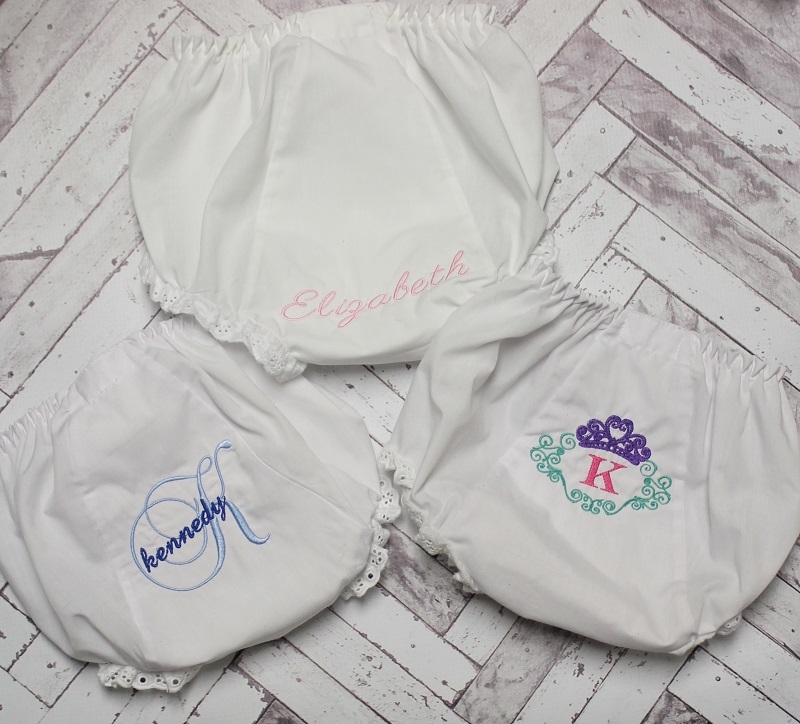 Embroidered with baby's name or monogram, and you have the ultimate personalized gift! Bloomers are made of 65% polyester, 35% cotton batiste and have a soft elastic waist.